BATL is immensely proud to have been the first organization in the world to offer an urban venue to experience the thrill of indoor axe throwing in leagues, walk-ins and private events such as parties and team building. Our venue offers the best facilities for people of all abilities to compete and have fun. Our axe throwing ‘arenas’ are similar to a cross between a batting cage and bowling alley, with private space for groups of any size, and a music selection that makes every visit amazing. BATL, The Backyard Axe Throwing League, was created in our founder, Matt Wilson’s backyard in 2006. 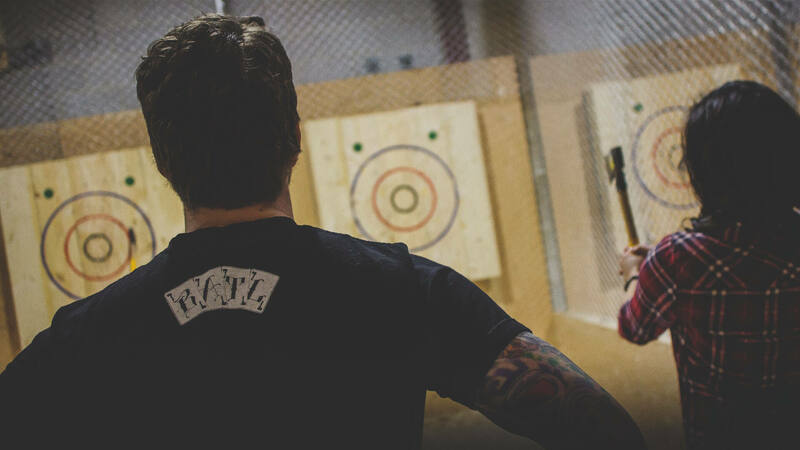 What began as a personal passion sparked by a camping trip soon spread through word of mouth in Toronto, and today over 1.5 million people have experienced the thrill of throwing axes at one of BATL’s indoor venues. In the past 13 years BATL has been covered extensively by local, regional and international press; growing from our backyard roots to operating across North America. We’re immensely proud to have been the first organization in the world to offer an urban venue to experience the thrill of indoor axe throwing in leagues, walk-ins and private events such as parties and team building. Throwing an epic party should be fun and simple. That’s why our event packages include 1 – 2.5 hours of throwing depending on your group size, flexible food options and private space to fit your party’s needs. Trophies and streetwear are available as add-ons for an even more personal touch. Our venue offers the best facilities for people of all abilities to compete and have fun. 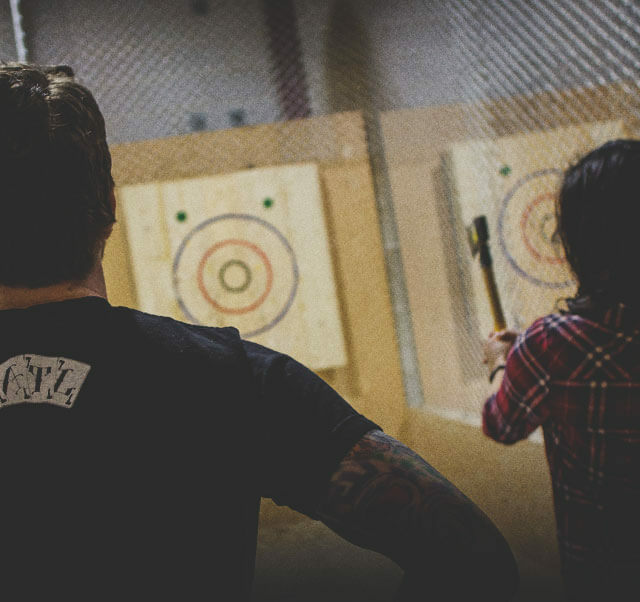 Our axe throwing ‘arenas’ are similar to a cross between a batting cage and bowling alley, with private space for groups of any size, and a music selection that makes every visit amazing. The word ‘community’ is used a lot online, but BATL is a community in the most traditional sense of the word. BATL’s about being good to each other. Our leagues are home to the most amazing, talented and passionate people that you’ll ever have the pleasure to meet. Join a league and be a part of the BATL Family.